People ask me many times which rebreather is the best one in the market. I usually reply that it depends on the application of the rebreather and the diving experience by the user. Does he/she travel a lot? Does he/she wants to make only recreational dives? Is he/she a cave diver? Or deep diver? Rebreathers differ a lot. Very important are the “roots” of the manufacturer/inventor. Is he (yes: we have only male manufacturers…) a metalworker, a programmer, a marine, an engineer, …? 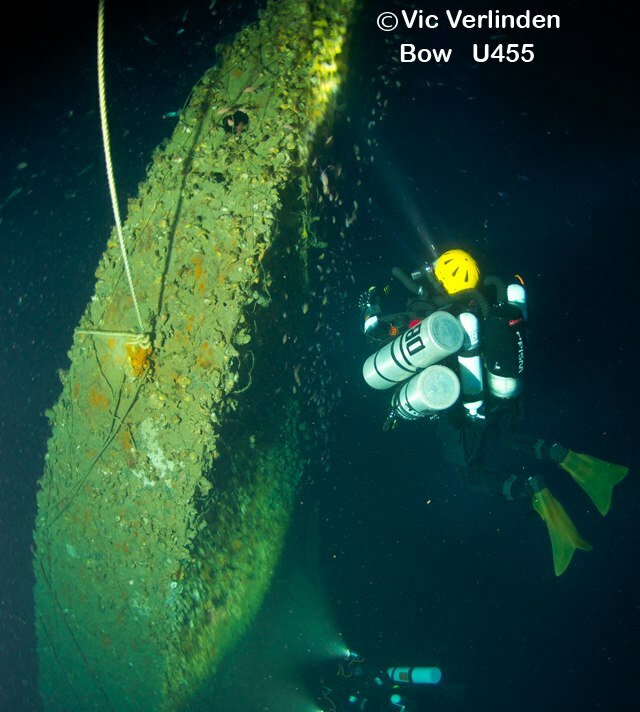 It can have a big impact on the design of the rebreather. There is also a difference in build quality, safety features and additional features. And of course: the price. All subcategories have the same weight for the total “verdict”. Regarding safety: this is a difficult category. Does adding safety-items to a rebreather (such as CO2 monitors, auto-breathe-detection, etc.) really increase the safety? Those items can brake and might make rebreather-divers technology-dependent… It’s like cars: safety equipment (like ABS, airbags, brake assist, etc.) makes cars also accessible for bad drivers… Is a rebreather without electronics safer than a rebreather fully loaded with electronics? Check out the tests… I didn’t perform tests on the rebreathers in a lab. E.g. when I talk about the WOB, it is my personal experience and NOT the result of a lab test. I understand that some manufacturers will not be happy with my conclusions and that they want react on the rating. They can do so by sending an e-mail or replying on the forum on my website. Again: the verdict is based on my personal experience and I have personal preferences as well. Those preferences will have an effect on the way I view rebreathers. Another individual might have a completely different view on the rating. Furthermore I want to make absolutely clear that any rebreather manufacturer does not influence me in any way. 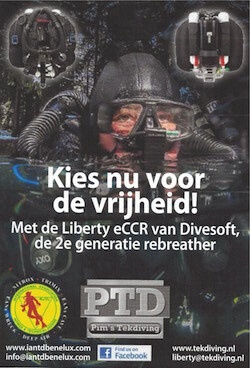 I’m only interested in their product: rebreathers! I didn’t perform tests on the computers in a lab. E.g. when I talk about the batteries, it is my personal experience and NOT the result of a lab test. I understand that some manufacturers will not be happy with my conclusions and that they want react on the rating. They can do so by sending an e-mail or replying on the forum on my website. Again: the verdict is based on my personal experience and I have personal preferences as well. Those preferences will have an effect on the way I view computers. Another individual might have a completely different view on the rating. Furthermore I want to make absolutely clear that any computer manufacturer does not influence me in any way. I’m only interested in their product: ccr computers! 9000 USD (ex shipping, incl. taxes), ready-to-dive. Europe prices are not known yet. The PRISM2 is simple to use and a dream to travel with: it is super lightweight. But this comes at a price: the quality of the material and the build quality could be better. Injected moulted plastics are used, where other rebreathers use delrin or metal. In the field use of the unit must show how long the material will last. The diving characteristics are very good (work-of-breathing and trim). Despite of its low weight, no extra weight is needed (I only need 6 kg extra in salt water with dry suit and 400gr thinsulate undersuit, steel 3ltr tanks and aluminium backplate). The PRISM2 makes use of the well known Shearwater electronics (also used by the Megalodon, rEvo, JJ-CCR, SF2 and Apocalypse). Putting the unit together is easy. It makes use of a standard backplate with webbing. One could do without the webbing over the shoulder, because the lungs can hold the unit. I decided to keep the webbing. Filling the canister is easy. It is also possible to verify the way the canister was filled and if the scrubber is dense enough. The canister is transparent and the radial scrubber is made of tissue. This makes the risk of channelling quite low. Cleaning the unit doesn’t require much work. However sometimes it can be hard to remove the breathing hose from the top of the unit. Hollis said they would improve this by changing the grips on the hose connectors. Trim is good. One can add weights in special pockets in the counter lungs (up to 2 kg each lung). The work-of-breathing of the PRISM2 is good. One has to position the lungs in a proper way: quite high. First I put the lungs too low, which resulted in chipmunk cheeks. It is easy to position the lungs in a correct way. The whole unit is amazingly light. No difficult houses/cases. One can even take his/her alu backplate. On average it is 6-7 kg lighter than a Meg (ready to dive). Even though I needed only 6 kg (with 400 gr thinsulate undersuit). 4 kg can be stuffed in the counterlungs. The other two somewhere on the unit: so no weightbelt needed! The design of the unit is quite “basic” and easy. So no extra “safety features”. A BOV could be an additional safety feature. The counterlungs (both) have special purge valves on the bottom (to drain water and “biolube” form the lungs). It requires some exercise to operate them. The over pressure valve on the exhale side sits quite high, so the is activated quite often. Maybe it is an idea to replace the purge valves with lower positioned OPV’s? One can use them also as drains… The oxygen inflator is on the exhale side (contrary to the Meg). This prevents oxygen flowing directly into the mouth when the oxygen inflator is pressed. The canister bucket is transparent. One can see if the scrubber is inside and properly packed. And if water is inside. Is not known yet. In the US it costs 9000 USD, ready to dive, incl. taxes. This is the same price as a Meg (without deco computer). But the quality of the materials of a Meg is better. In Europe it should be lower than 8000 EUR to be competitive. Because it is a new unit in Europe, it still has to proof its quality of its after sales. I give it the benefit of the doubt. But Oceanic/Hollis has a large dealer network. The unit is nicely built. But the materials are moulded plastics. Let’s see how long they will last in the field. The quality of the lungs is OK. But to are a little noisy when expanding. The connectors could be better. The unit is not CE rated yet. But I did some 120 mtr dives on it without any problems.